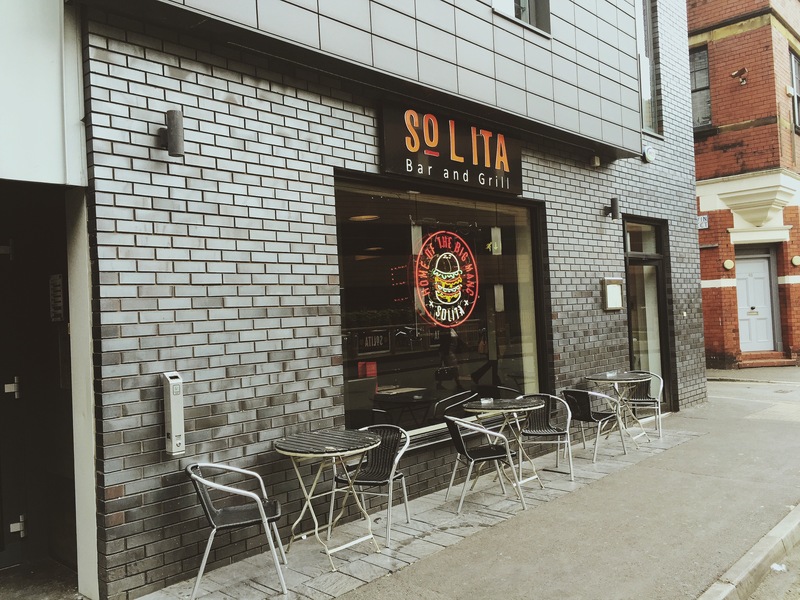 Hidden in one of the not so colourful corners of the Northern Quarter (NQ), is a bar&grill called ‘Solita’. This ‘gem’ of a burger restaurant came to light through a recommendation to myself & what a brilliant one it was aswell. The personal table service and quirky decor fell example to what was expected from the never ending menu with 15 mouthwatering burgers to choose from. So much so, I found it difficult to decipher which burger I wanted to experience this time. 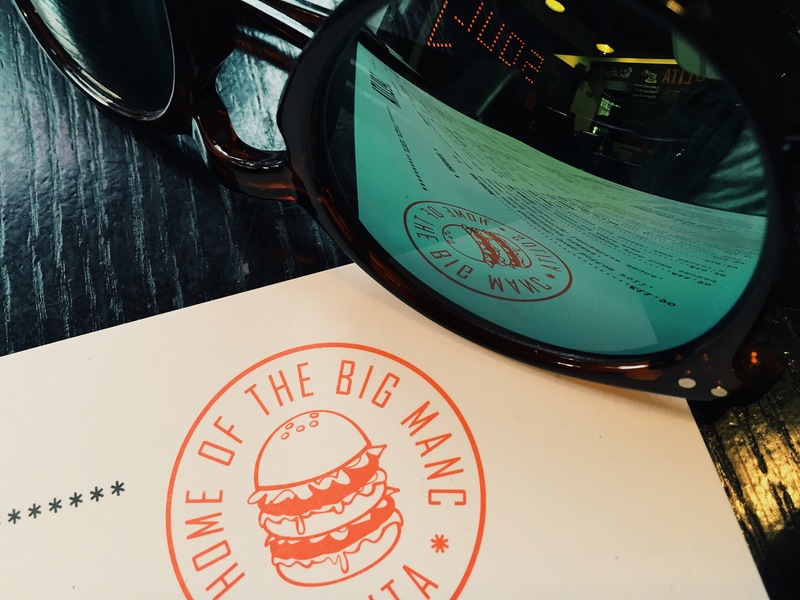 The obvious choice would have been their signature burger which includes a double steak patty, trifecta brioche bun, all the trimmings and a special sauce named ‘Big Manc Sauce’, derived from the burgers name being ‘The Big Manc’, unfortunately not this time. Purely through timing and preference I decided on the ‘Bacon Double Cheese’, a common choice for myself but always a good one. Barely given the chance to enjoy awaiting the arrival of the ‘Bacon Double Cheese’ burger, it arrived. Presentation was to a minimum, but the taste went beyond its exterior. 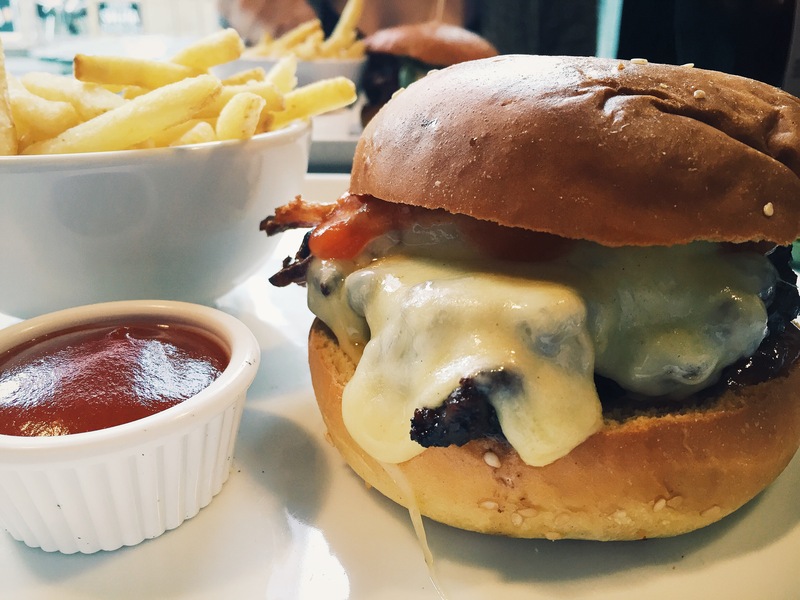 I then devoured the burger, the beef was extremely tender with the melted cheese hanging over the sides, all between a brioche bun, which was large but was easily made compact for easy eating. The thinly cut/unpeeled chips were the perfect side to accompany the burger, with a not so overwhelming piece of bacon, cooked in an unknown sweet-like substance, still puzzled to what it was or what they were trying to do. Overall, I walked out of ‘Solita’ satisfied with the intent to revisit to experience many more of their creations.